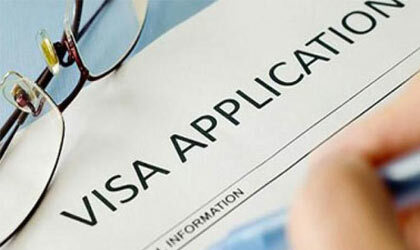 Visa cannot be applied for without this. Evidence of English language ability. IELTS certificate is acceptable, however TOEFL is not considered by the UKVI now. Be prepared to answer questions regarding your university, course and modules of your study. Carry all original documents for verification. It establishes that the student is indeed going to study and not to live there. Be prepared for questions related to your course, University and lifestyle that you are expected to lead. What course will you study at the university and why did you choose this course? Have you applied to any other universities? What are the living fees in the UK? What are the Course Modules that interest you? What do you plan to do when you graduate from the UK? The credibility interview is conducted to determine the future plans of the student and also to establish the real reason for the student to gain entry into UK. The questions are directed at the students in order to ascertain the same and always in English Language. You must be prepared with the answers and answer only in English Language (they will ascertain your level of English). Find out about the life in general in UK and also how it would be different and beneficial in comparison to your home country. What are the benefits of studying in the UK compared to your home country or USA/Canada/Australia etc. Always read the relevant Information on the University that can be found on their websites. Why did you choose to study at this University? Which other colleges or universities have you considered? Do you know roughly how large the college or university is? What facilities are you expecting at the college or university? You must gather information regarding the course and the modules that you would be studying. Get detailed information about the course on the university website and/or on their online prospectus. How is your chosen course assessed? Can you explain the gaps in your study/professional history which you feel this degree will fulfil? The interviewing officer will use your financial documents to determine you are able to pay for the time that you intend spending in UK. The questions would be relevant to the documents that you submit. Make sure that the information matches when you answer the questions. Who is sponsoring your studies? If you have taken out a bank loan to finance your studies, how do you intend to repay it? Find out relevant information about your accommodation and how far are you from the university. You must know where exactly it is located and how will you travel between your accommodation and university every day. Where do you intend to live while you are in the UK? How far is it from your university? How will you travel to the university? Do you intend to work in the UK during your studies? If so, do you know how many hours you would be permitted to work under Tier 4? How will you travel to the university when you land in UK? This section is a main area where the officer will ascertain whether you are genuinely planning to gain education in UK or it is eyewash to gain entry in the UK. Answer these with care. What do you intend to do after finishing your course? If you intend to return home to seek employment, which companies do you hope to apply to? Are you thinking of transferring to another institution on completing this course? English Language Proof : Required Grade or The IELTS. Pre Sessional English: If the student does not have the required grades in the English Language Proficiency, the students can take Pre- Sessional English at the university. Undergraduate year 2 and 3: Some universities accept entry into year 2 and 3. These are on case to case basis and depend on the course outline and student performances. Many of the courses that use admissions tests are also the courses that have the 15 October application deadline – so it’s worth checking these details in advance. In addition to your UCAS application, check the University of Cambridge’s website to see if you also need to complete a Cambridge Online Preliminary Application (COPA). NOTE: Some university have specific entrance exams for some specific courses. Please check the university website or www.ucas.com for complete details. UCAS is a central application form for undergraduate level in the United Kingdoms. It is a service that the universities across U.K. have subscribed to in order to ease the application process. Most universities ONLY accept application through the UCAS. Check the last dates for entry. There are certain deadlines for certain courses, be sure that you make your application before that. X XI and XII grade. O level , A levels. Write your Statement of Purpose. Enter your employment details. In case you have no employment history, even then you are required to complete the section. Just fill it with NA. You can apply even before your receive the marks from your final exams. Complete the portion with the Due date of the exams/results and with projected marks (if available). The university makes an offer as a conditional offer, which can be converted into an unconditional offer once you comply with the condition. Ensure that you have checked all the details before submitting. When you VIEW the form. Please ensure that you check all details as correct. It helps to write the headings separately and CHECK it as you go along. Check the Statement of Purpose for any grammatical error. Do not exceed the number of characters given. Give details for the payment and send. Once you have completed and submitted the UCAS form. UCAS will send you an email confirming it and giving you information regarding what is expected next. You can TRACK your application form to know about the decisions. UCAS sends the complete forms to the universities that you have chosen for them to process and take a decision regarding the admission. Note: You can choose 5 courses at the same university or 5 courses at 5 different universities in whatever combination that you like. Ensure that you fill the correct UCAS code for the courses. Your personal details should be filled carefully with the present contact details. NOTE: You can fill the UCAS form even before you receive your final scores. Leave the section with the due dates. Ideally you would then receive a CONDITIONAL offer that states that if you thereby fulfill their condition, the university will grant you admission. Recommendation letter comes directly from your referee. The referee will receive their codes and they have to personally fill the letter. Ensure that the statement of purpose is well written and is grammatically correct. Write within the space provided and the maximum number characters available. Find out how the university expects the portfolio. A university representative can help you with the same. Usually a C.D with your portfolio is submitted. Be very sure about the course and the university you wish to apply to. You can chose up to 5 courses. Find out the deadlines for the application for specific courses and international students. Once the UCAS sends the application to the respective universities, the student can track the application for the progress. Once the university takes a decision about the offers, the UCAS informs you of the same. The UCAS will also inform the student about any interview that the university may have requested. Make a decision about the offers you receive from the university. You have to thereafter reply to the offers with: Firm Acceptance; Insurance or a Decline. If you are accepted on any of the course, then you will receive a confirmation letter by post.if you are not holding any offer due to any reasons you will be entered into ‘clearing’ automatically and you can look for other choices. The original transcripts of the results that mentions: Your name; the academic institution’s name; the course title; confirmation of the award. The original document of your English Language Score (if the University had asked for it). ATAS certificate if your postgraduate course requires it. IMPORTANT: You must apply for your visa no more than 6 months after you receive the CAS. Have sufficient funds in your account for a period of 28 days that will cover the tuition fee and the living cost immediately prior to applying for the VISA. If CAS does not include then provide Original paper receipt that confirms your payment and clearly states the amount that you have paid. The financial statement should be able to ascertain that the student has the required funds available. You must show that you have held the required money for a consecutive 28-day period (finishing on the date of the closing balance) ending no more than one month before your application. Your birth certificate showing the names of your parent(s); a court document naming your legal guardian. Permission given by the parents/ guardian for the student to use the money. 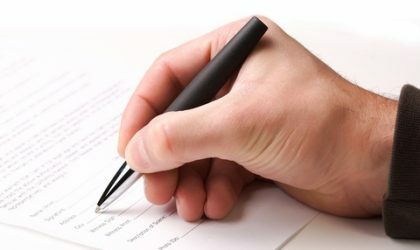 A letter confirming – your relationship and their permission should be provided.